Please reference the frequently asked questions below. If you have additional questions, please email support@afbnl.com for assistance. Q. How do I log into my Info Hub account? A. If you have already created a username and password, use this link: https://business.afbnl.com/MIC/Login. If you have not created a username and password, please email support@afbnl.com for an account creation link. Q. I receive a “Token Expired” message when I try to create my Info Hub account. How do I proceed? A. Create your account via this link (use Safari or Chrome as your browser to avoid glitches): https://business.afbnl.com/MIC/Create. Q. What is the Info Hub? A. The Info Hub is a member-only hub for resources, event registration, directories, community news and more! 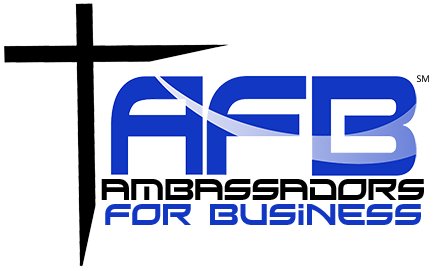 Login to your account via this link: https://business.afbnl.com/MIC/Login. Q. How do I access RightNow Media @ Work? Log into your Info Hub account and click the RightNow Media @ Work login tab in the left hand menu bar. Log into your RightNow Media @ Work account from there. Log into Right Now Media @ Work via their homepage: https://www.rightnowmediaatwork.org/library. If you are an Ambassadors for Business member and have not received an email invitation to create a Right Now Media @ Work account, please email support@afbnl.com.